Do it all! With the 6D/6N Thailand Liveaboard Cruise on MV Giamani you will combine the best South Andaman Sea dive sites (Koh Haa, Hin Daeng, Hin Muang & more) with the amazing Similan Islands, Koh Bon & Koh Tachai, and the LEGENDARY Richelieu Rock! MV Giamani departs on Friday afternoon and cruises straight to the south to do amazing dives there during the weekend. On Sunday afternoon after 3 dives we cruise back to Phuket Chalong Pier to quickly swap some of the other guests who do the shorter cruises, then off we go straight to Similans where we spend the night. 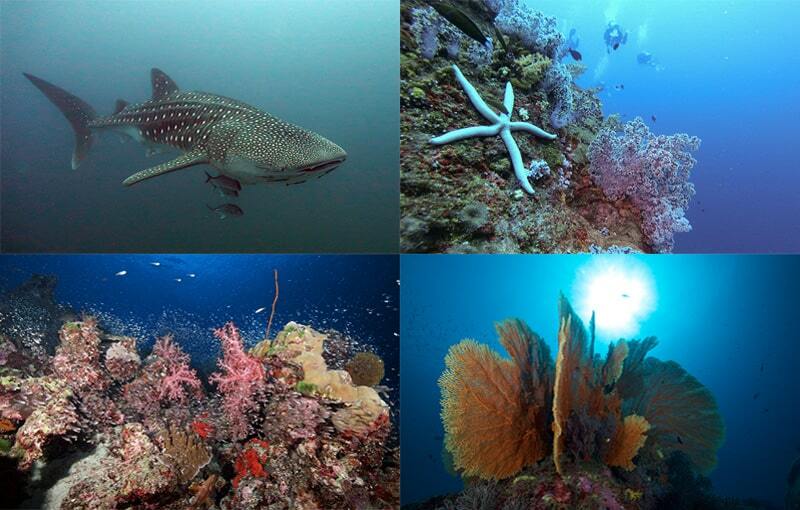 Monday will enjoy the best Similan Islands dive site, Tuesday great Thailand diving at Koh Bon & Tachai, then on Wednesday the highlight of the trip, Richelieu Rock! On Thursday morning we do 2 dives at some nice Khao Lak Wrecks and then in the afternoon cruise all the way to Phuket where, sadly, this memorable trip comes to its end. 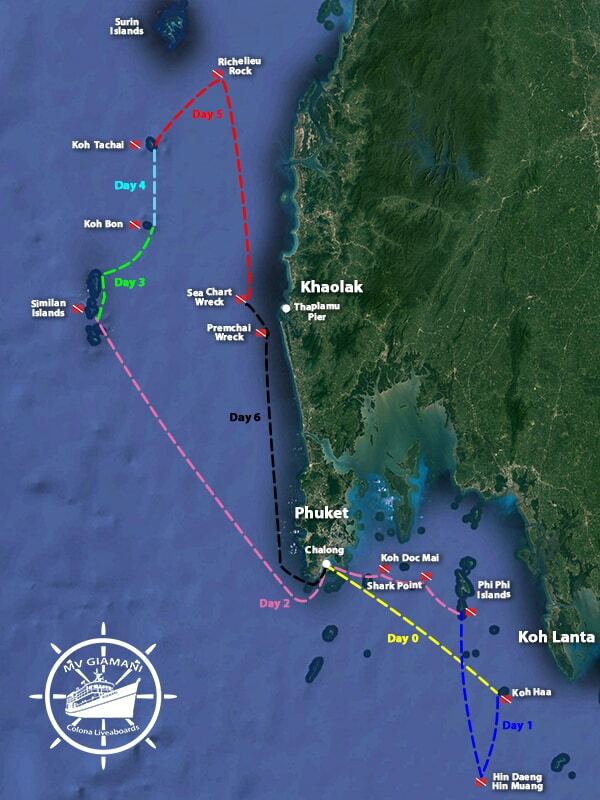 15:30 – Arrival in Chalong, disembark & embark other guests doing shorter cruises.